The Morris Minor is an outstanding car and whatever we like for making it comfortable for us, we can do it. When they used a Morris Minor for picking me up at the airport I decided to make a limousine with better leg room at the rear seat. 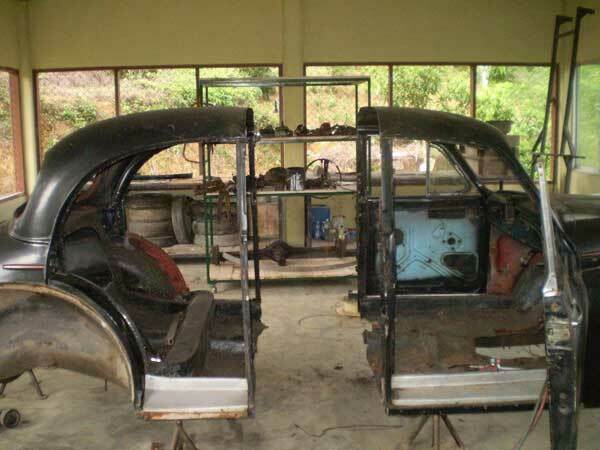 We have started on the project now and it will be interesting to test the limousine when it is completed. With this longer axle base it will perform differently and I expect that it will be very comfortable on the road. Placing the body of a 4-door saloon on 8 axle stands. Cutting in the B-posts and all the way round. Moving the rear end 55 cm back. 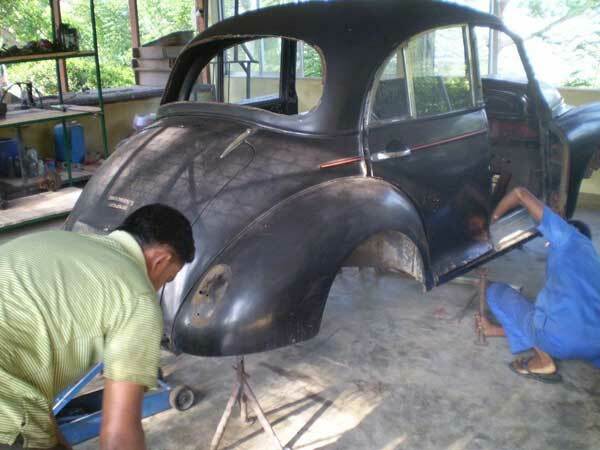 Now we are filling the gap and curing the usual rust problems. When the body is completed I will report again.